HTC has made its wireless Vive Pro headset available for pre-order in the US. First introduced at CES 2018, the new headset brings a number of key improvements over the original, most important of which is the ability to use the headset completely free from wires. 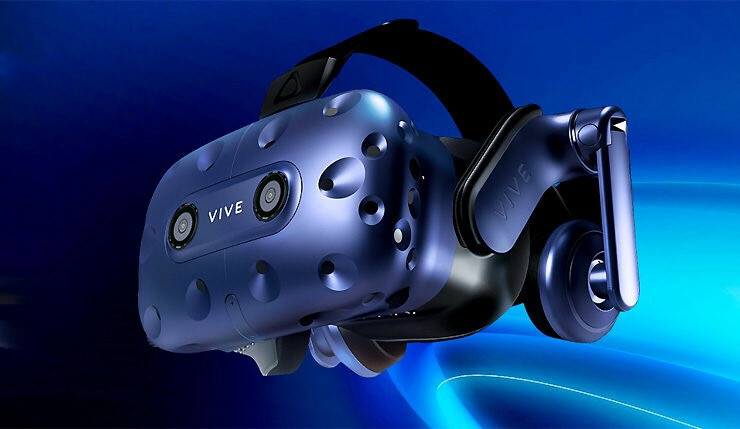 The company has also announced that it has dropped the price of the original Vive headset package by US$100, bringing it down to US$499 globally. Customers who pre-order the Vive Pro by June 3 will have their orders ship on April 5. Pre-orders will also come with a free six-month trial of the Viveport subscription service that allows users to pick 5 titles per month from a library of over 400 titles. HTC says that, in total, there are over 3,000 titles that have been developed to support the Vive VR platform. The Vive Pro improves on the original with new dual-OLED displays offering a combined image resolution of 2880 x 1600 pixels, which is a 78 percent increase in sharpness. It also incorporates integrated high-performance headphones with built-in amps. An Intel WiGig-enabled adapter allows users to enjoy the VR experience without cords, which was one of the biggest complaints about the first generation VR headsets from HTC and Oculus. The Vive Pro will work with a PC equipped with at least an Intel Core i5-4590 or AMD FX 8350 processor paired to either an Nvidia GeForce GTX 1060 or an AMD Radeon RX480, equivalent or better. Memory needs to be 4 GB or more on a system running Windows 8.1 or later and a DisplayPort 1.2 or newer and 1 x USB 3.0 port. It is retailing for US$799.